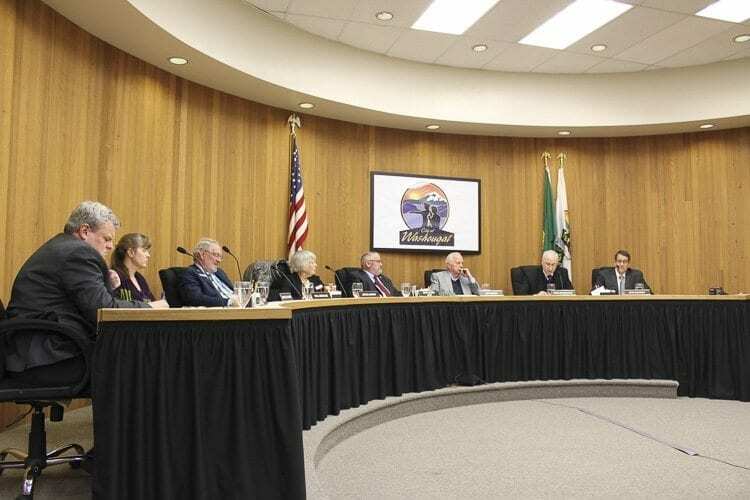 WASHOUGAL — Members of the Washougal City Council voted Monday night to approve an ordinance that modified city code to address the issue of camping in public places. The ordinance was crafted after issues arose concerning homeless people setting up camps on city-owned properties such as the civic center campus. According to City Administrator David Scott, the issue arose concerning daytime camping at public facilities that caused problems with access to those facilities. Scott said that the ordinance was intended to solve that problem and to ensure that public buildings are accessible for their intended use. The ordinance was modeled on a practice in Vancouver that has been proven to work well, Scott said. Scott explained that the new ordinance continues the current prohibition on camping in all parks, but also adds a new chapter that prohibits camping or storing property on public property and right of ways during their intended hours of use. The prohibition is in effect from 6:30 a.m. to 9:30 p.m. Camping is still permitted on public property, save parks, outside of those hours. Violation of the ordinance is punishable by a fine of up to $1000 or imprisonment up to 90 days. 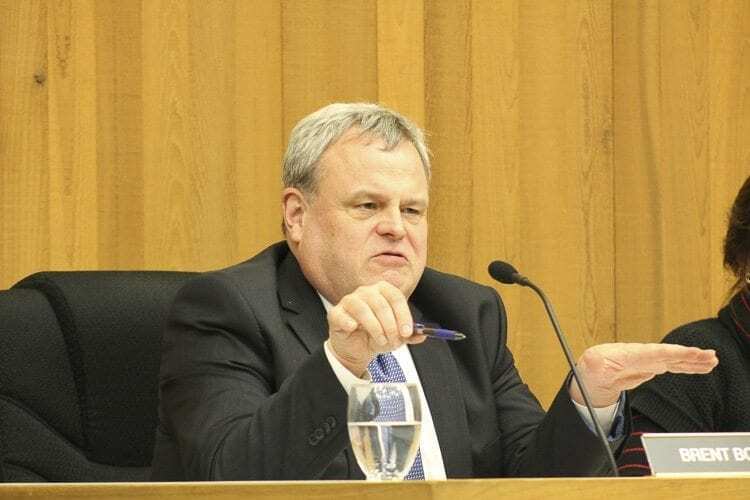 Council Member Ray Kutch said that the ordinance is designed to be a preliminary attempt to address an emerging issue of homelessness in the community, but noted that it is not a major issue in Washougal at present. “This is a necessary first step,” Kutch said. Several other council members agreed. Attending the meeting via phone call, Council Member Paul Greenlee said that the ordinance would fill a “gaping hole” in the city’s code. According to Council Member Joyce Lindsay, however, the ordinance was not the correct answer to the issue. 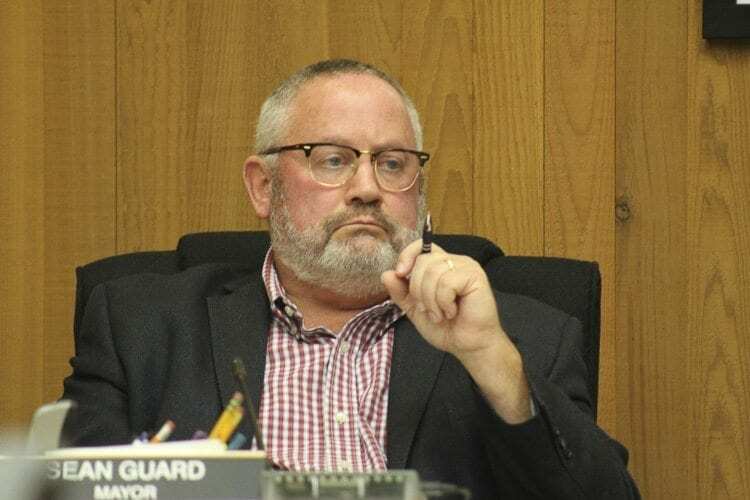 Mayor Sean Guard deferred to City Attorney Kenneth Woodrich to ensure Lindsay that the ordinance had been crafted and vetted and found to not be discriminating. Council Member Brent Boger expressed his desire for the council to be kept up to date regularly by staff on the effects of the ordinance and the status of the issue. To ensure that such an update would be provided, Boger moved to amend the ordinance to include a sunset clause for Mar. 31, 2018. The motion to amend the ordinance passed, with only Greenlee voting against it. The amended ordinance then passed as an emergency ordinance with only Lindsay opposing it. After the vote on the camping ordinance, the issue of homelessness in Washougal again came up in the Mayor’s Report. Guard said that he has been working on forming a committee composed of city officials, the police department, clergy, the Council for the Homeless, the Salvation Army and local school districts to address the emerging problem of homelessness. The group is currently working to gather information and answer questions about opening an emergency cold weather shelter, Guard said. Guard clarified that there currently are no concrete plans to open a shelter, but rather officials are working to be prepared if the need for an emergency shelter arises. Such a shelter would be housed in an existing facility, Guard said, and the committee is currently working to determine what facilities, such as churches, could be used if needed. Several council members weighed in on the Mayor’s Report. Lindsay noted that the situation is “extremely complex,” and wanted a task force to be formed so that appropriate solutions over the long term could be crafted. Kutch noted that the problem itself has not yet been fully defined, and identifying the problem needed to occur. “We’re taking the first steps, and I think that’s the right thing to do now,” Kutch said. Greenlee agreed, and said that additionally, the council should listen to experts on the issue before they try to solve any problems. Shoemaker stated that he believed the solution lies not with government, but in the private sector. Guard agreed, and said that he wants to partner with community members to be “proactive” in solving the issue. Guard also extended an offer to the council to sit on the committee. Michelle Wagner, Kutch and Greenlee accepted positions, with Lindsay to serve as Wagner’s alternate.